Somehow six months has slipped by since I last posted. Crafting has become more difficult as the various bits of my body conspire against me, but I made something very simple recently that greatly pleased me. My daughter has reached the age where she ‘cannot live’ without a mobile phone. 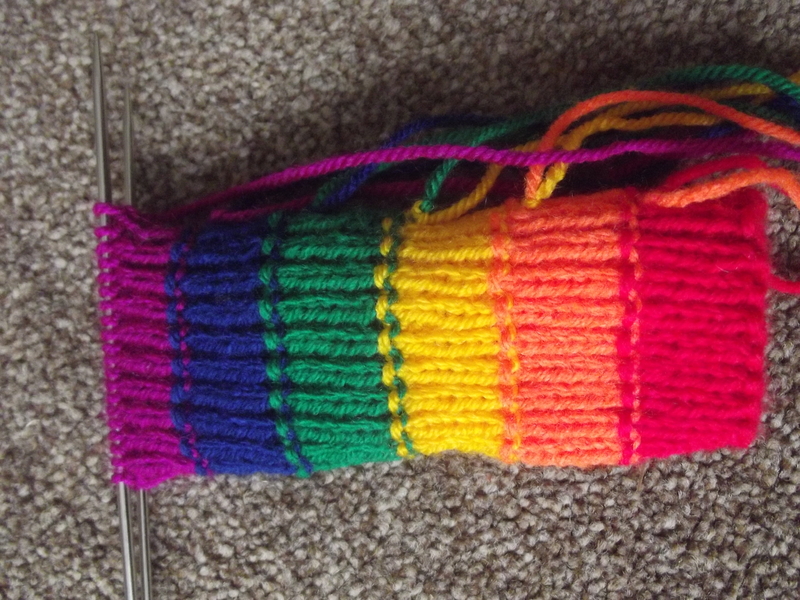 Possibly she will have to be operated upon to remove it from her person at some point… She had her eye on a rainbow coloured phone sock – which cost about £6. The miser in me came to the fore, no way was I going to see her spend money on that when I could make one! As TECHknitting suggests, the solution is really very simple. 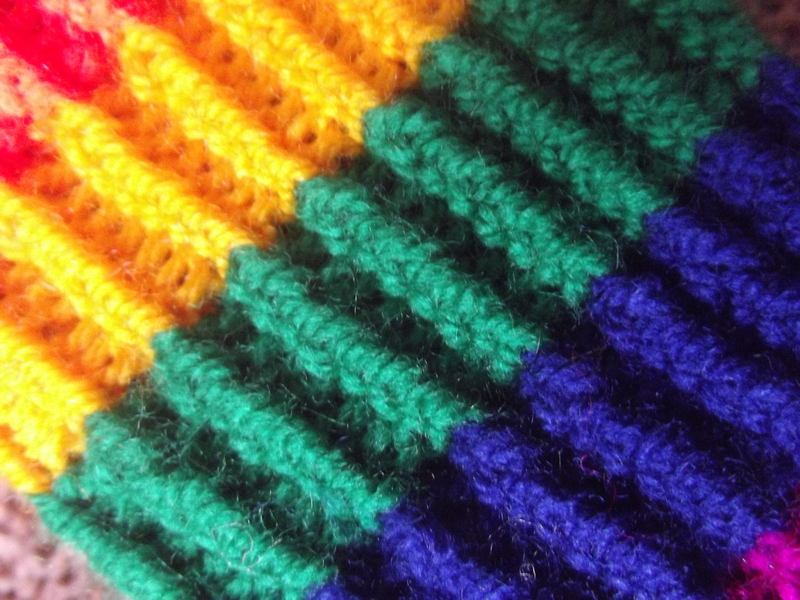 If you are knitting ribbing and change colour, you get ‘icky dots’ when you make purl stitches . So if you don’t want them, don’t purl, knit instead. Thanks so much for the icky bump solution!!! Glad someone else likes the idea (not that I invented it)!